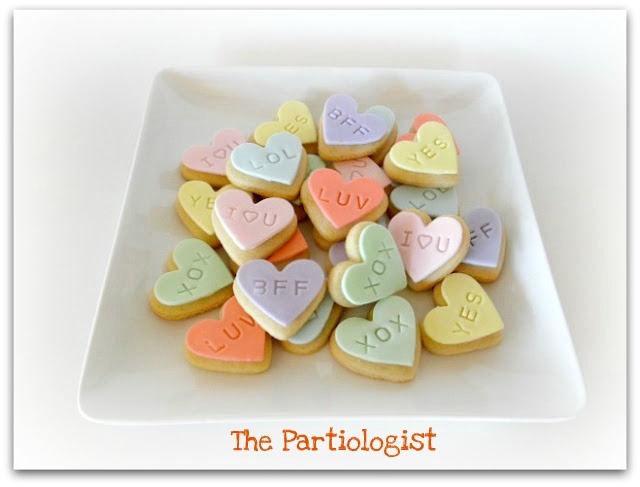 The Partiologist: Conversation Heart Party - Cookies & Candy! 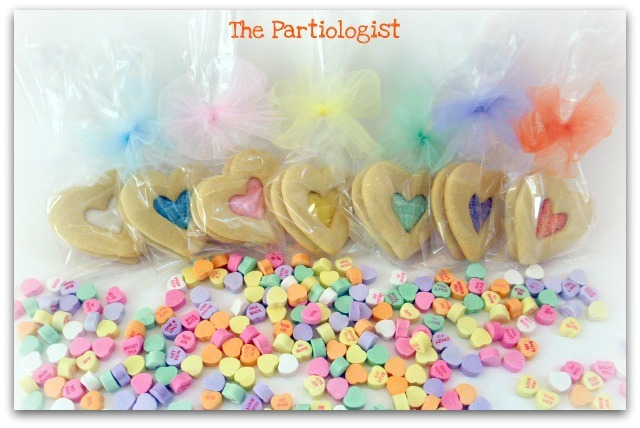 Conversation Heart Party - Cookies & Candy! You really didn't think I would have any kind of a party without cookies did you? Two Two, Two cookies in one! Then I had to get them ready for presentation. 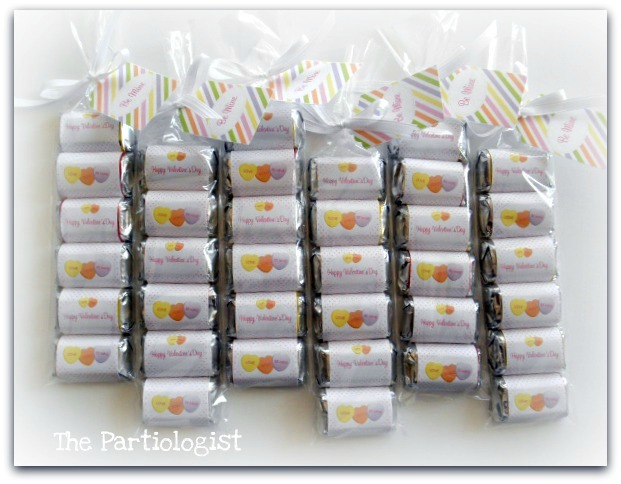 Not cookies, but needed an excuse to make some pretty wrapped Hershey's miniatures. Perfect inside a pretzel stick bag! 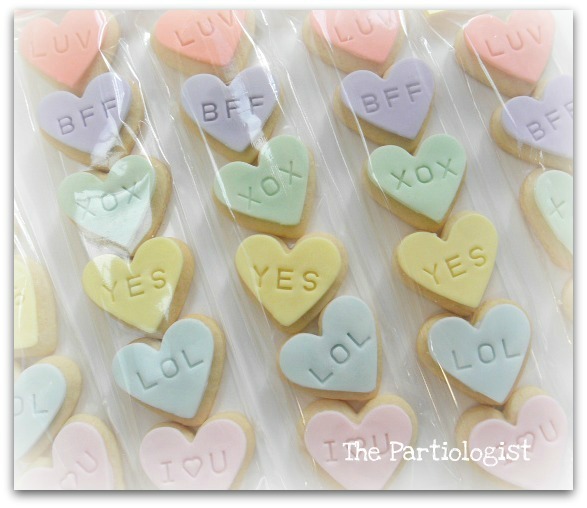 Having the Conversation Heart theme, I had to make these. 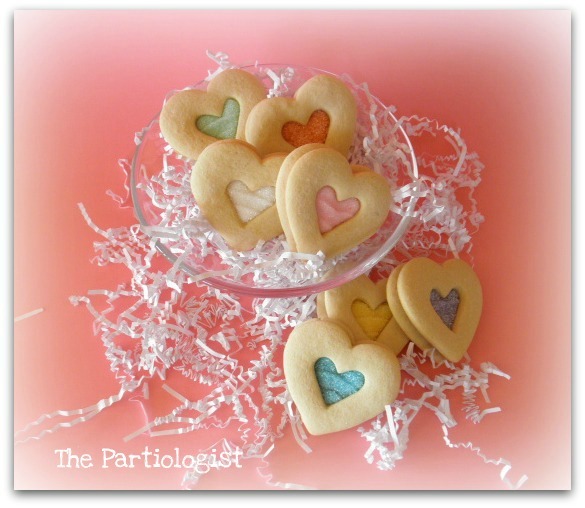 Mini Heart Cookies topped with Fondant. Really, I Puffy Heart U!! The pretty, pretty pastels are so precious. I consider these "comfort" foods. For sure - Comfort!!! Thanks! 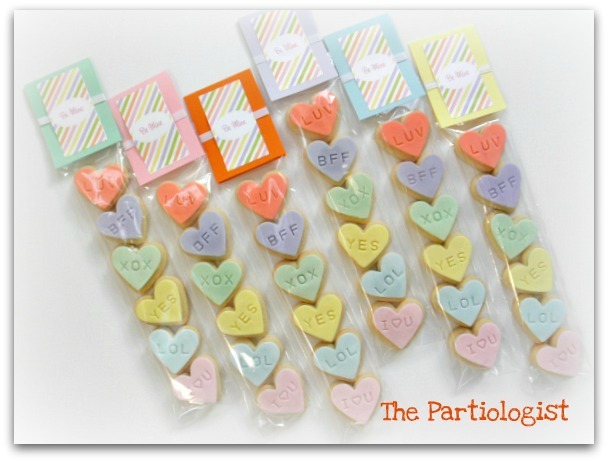 What size is your cookie cutter? Did you use a stamp for the letters? Beautiful. Without a doubt, you always bring a smile to my face! Adorable! Where do you find the time? Love to rush to see what you have created in the latest post! Gotta put a book together and give MARTHA a bit of a run.... ;) With all due respect to Martha of course! I used a clay embossing set from Michaels for the stamp and the pretzel bags are made by wilton - any craft store should have them. Hope this helps! These are all beautiful, I love the soft pastel color on these. You are so creative!!! I need some pretzel bags... You have me convinced! Beautiful as always!!! Callye - you're the queen of mini's - now go get some pretzel bags! Thanks for stopping by!!!!! 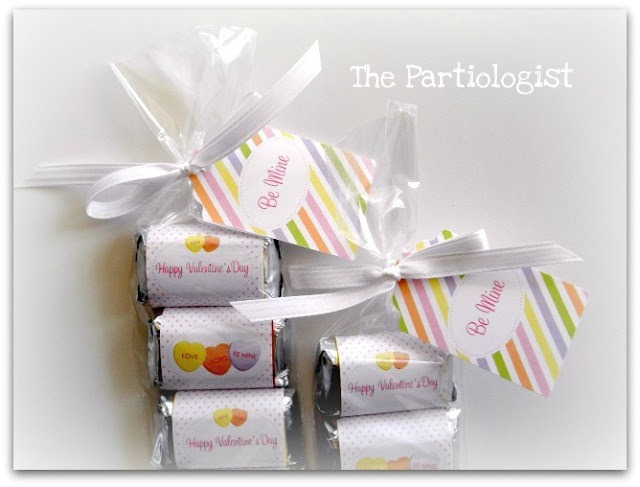 You always have such fun ways to package your goodies! !